We’d love your help. 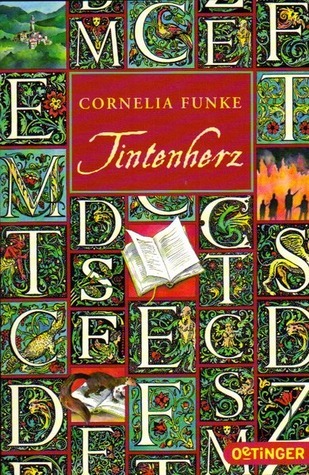 Let us know what’s wrong with this preview of Tintenherz by Cornelia Funke. To ask other readers questions about Tintenherz, please sign up. what is the age level for this book? Drew Probably like 10-15 age range. However, I believe books have no "age" requirement, just a "want" requirement. I hope you enjoy the book! Books have to be heavy because the whole world's inside them. Magic, this book is pure unadulterated magic. Meggie and Mo (her father) are a pair. They're two peas in a pod, they're a peanut butter and jelly sandwich, they're ice cream and sprinkles. No matter what - they are together. Mo works as a book binder/restorer and Meggie is a full-time reader - she ready every single moment she's not in school. When a mysterious man from Mo's past shows up on their doorstep, he packs up all of their things and whisks Maggie away to to her Aunt Elinor's house. And, despite all their efforts, evil is circling ever closer to their little family and Maggie is at a complete loss at what to do. There is something inexplicable about the way Funke weaves magic into her novel. Even after all these years, as soon as I read this book, I check the garden for fairies and glassmen. There's something so heartwarming and true regarding the dynamic between Maggie and her father, Mo. Even the crankiness of Eleanor as she begrudgingly takes in Maggie is enough to set my eyes alight as I read, and reread this book. When you open a book it's like going to the theater first you see the curtain then it is pulled aside and the show begins. Is there anything in the world better than words on the page? Highly, highly recommended for kids (and adults) of all ages! Read by Lynn Redgrave - and she did a rather good job. Nice characterization! I was very much looking forward to reading this, as it had very good word-of-mouth as a high-quality children's/YA fantasy that adults will also enjoy. And the premise, that characters can exist in the "real world" outside of books, or that real people can enter the world inside a book, is endlessly appealing. However, my local library is on the verge of opening a new wing with my overdue book fines on this, because I keep hanging onto it in the hope that eventually I will be able to finish read I was very much looking forward to reading this, as it had very good word-of-mouth as a high-quality children's/YA fantasy that adults will also enjoy. And the premise, that characters can exist in the "real world" outside of books, or that real people can enter the world inside a book, is endlessly appealing. However, my local library is on the verge of opening a new wing with my overdue book fines on this, because I keep hanging onto it in the hope that eventually I will be able to finish reading it. I think it's just not going to happen. First of all, there is something very stilted and anachronistic in the writing, and I can't tell whether that's just Cornelia Funke, or a result of the translation work. Also, the book is simply too long. It takes 150 pages for anything to begin to happen, and that's much too long, even for an adult book. I blame J.K. Rowling for this kind of bloating. Oy... I really wanted to like this book. I had such high hopes for it. It was one of those books that whenever my students saw me reading it they said, "Oh, I really liked that book! It was so good." So, I thought it would be great. It just wasn't. The story was nice. In short (very short): Meggie's father repairs books. Her mother disappeared nine years ago. After a mysterious visitor shows up at their house, Meggie finds out that her father has a secret. He can read characters out of books. Ni Oy... I really wanted to like this book. I had such high hopes for it. It was one of those books that whenever my students saw me reading it they said, "Oh, I really liked that book! It was so good." So, I thought it would be great. It just wasn't. The story was nice. In short (very short): Meggie's father repairs books. Her mother disappeared nine years ago. After a mysterious visitor shows up at their house, Meggie finds out that her father has a secret. He can read characters out of books. Nine years ago he was reading aloud and read a terrible villian out of the book and simultaneously read Meggie's mother into the book. The rest of the story is Meggie and her father trying to defeat the villian and maybe get her mother back. This book is everything I ever wanted. It's a book about a book and lovers of books. It's very self-affirming for me. Now I don't feel like a COMPLETE goober for 1) smelling books 2) learning Elvish or 3) bringing at least 5 books with me everywhere I go. Note: just because I don't FEEL like a complete goober, does not mean I am not one. "Inkheart" is the first in a trilogy. "Inkspell" is already out, and "Inkdeath" will be out in 2008. You may not love "Inkheart" in and of itself; however, if you This book is everything I ever wanted. It's a book about a book and lovers of books. It's very self-affirming for me. Now I don't feel like a COMPLETE goober for 1) smelling books 2) learning Elvish or 3) bringing at least 5 books with me everywhere I go. Honestly one of my favourite fantasy reads. I loved all the characters - even the villians! They were vivid, colourful, the world Cornelia Funke creates is absolutely extraordinary and if it were up to me I would live in the Inkworld for ever! For anyone that likes a good dose of escapism, a book about books, a story that will make you laugh, cry and just generally never want to finish then this is for you! This is quite the page-turner! I was driven to read more by both the action/adventure and the plot/conclusion. Both are excellently written! Funke’s style of writing (and indeed the translation made by Anthea Bell) makes for a smooth and beautiful read. Wonderfully drawn and very detailed characters fill this book from cover to cover, each character being unique and complete. The story is told from multiple viewpoints, which adds another interesting dimension to the story and p What a great story! Wonderfully drawn and very detailed characters fill this book from cover to cover, each character being unique and complete. The story is told from multiple viewpoints, which adds another interesting dimension to the story and plot. The book doesn’t contain many light-hearted chapters (as you would find in Harry Potter or Narnia) but the wonderful lead characters are such good people that the book is far from dark. The whole idea of the story is beautiful and intriguing! And the quotes that begin each chapter are perfectly chosen. I kept wondering if there were areas that Funke could have taken out to make the book shorter – but I couldn’t really find anything that wouldn’t mar the story in some way, and I was grateful there were as many pages to read as there were! A wonderful read and an interesting story that I think has become a new favorite! I plan to begin this book today. I've got so many others that I'm in the midst of reading right now, but the fact that I want to finish this before the movie comes out (eek!) I'd best hurry up and start it!! Oof... it took me 12 days to finish this book. Not like me at all. I liked the storyline. I love the fact that it is a book about books, and that is what initially made me want to read it. I read the blurb on the book and it sounded like a really fun read. The book was VERY long-winded. Whilst the plotline was good, and the characters were nicely built, the actual story dragged on most of the time. The best part of the book is the last few chapters, by which point I didn't care - I jus Oof... it took me 12 days to finish this book. Not like me at all. The book was VERY long-winded. Whilst the plotline was good, and the characters were nicely built, the actual story dragged on most of the time. The best part of the book is the last few chapters, by which point I didn't care - I just wanted the book to end so I could move onto something more enjoyable. I've given it 2 stars because the story is interesting, I just think that it could have been condensed into less pages. Either that or the writing could have had more cliffhangers - therefore making it more unputdownable. Maybe if I could read German, the original book may be more enticing. It's always possible with translations that the book doesn't end up coming across as the author intended it to. I guess I'll never know. Enjoyed it well enough. Interesting concept. Good execution. Struck me as a little grim for YA though. By which I mean it's not something I'd read to my boy. (He's fiveish.) I might consider something like this for him when he hits 10 or so. The best fantasy novel, I'ver read. I was too much curious while reading that. The way writer moves the story. Specially,3 ratings for character making. 1. Don't watch the movie. Please, don't watch it, the movie is nothing compared with the books! A father who can awake characters from books just by reading and a daughter with equal abilities. What more does a true book-lover need?! This is one of 1. Don't watch the movie. Please, don't watch it, the movie is nothing compared with the books! Ah! A book about a magical book!! One dark and rainy night, a Ah! A book about a magical book!! One dark and rainy night, a stranger arrives at the door. Mo invites him in, saying he's a "friend" and sends Meggie roughly back to bed. Mo has never treated her that way but more than that, Meggie senses fear, like icy fingers around her heart, and a feeling of foreboding surrounding the visitor. And something else, a familiarity deep down that she can't explain. What kind of friend comes knocking in the middle of the night? Not easily dissuaded, Meggie creeps out of bed and listens through the door. She hears Mo call the visitor Dustfinger who then calls her father Silvertongue. Then the voices become only low murmurs, a hushed argument of sorts. "don't underestimate him" she heard Dustfinger say. Meggie wonders what the strange names mean, including the other one Dustfinger said "Capricorn" and what could he want that Mo will never give up? Very early the next morning Mo tells Meggie to pack quickly, that they're going to visit his aunt Elinor who needs some of her books repaired. Meggie is confused as she still has a week of school left but Mo, not in the mood to argue, has been unusually distressed since Dustfinger's arrival and is clearly in a hurry to leave. "It's a good idea to have your own books with you when you're in a strange place." They just reach the gate when Dustfinger suddenly appears in the road and says he's coming along. This seems to upset Mo even more and Meggie, still fearful, isn't at all happy, either. As the journey lags on the discord between Mo and Dustfinger continues and Meggie knows something is being kept secret from her, something to do with a book she saw Mo hide in his suitcase, something that has Mo very anxious and worried. Elinor's house is enormous with bookshelves full of books, floor to ceiling in every room. In addition, Elinor makes it very apparent that she doesn't care for children. Not at all. Late that first night Meggie hears Mo and Elinor whispering about hiding the book so it can never be found. Only a little while later, that very night, men come and steal the book, taking Mo with them. The book was indeed kept safe and the men will soon discover that they have the wrong book. What will happen to Mo then? Elinor dislikes and doesn't trust Dustfinger but he says he knows where Mo has been taken leaving Meggie and Elinor no choice but to trust him to take them to exchange the book for Mo. Elinor finds she was right not to trust Dustfinger as he's deceived them, leading them right into a trap. They've been taken by gun point and reunited with Mo but are now locked up, terrified, and at the complete mercy of Capricorn. Mo has no choice but to tell Maggie the secret he's been hiding, why he's never read out loud to her, and about what really happened to her mother when Meggie was just three years old. Mo explains to Meggie that he can literally read characters out of a book. Mo was reading INKHART aloud to Meggie's mother when suddenly Capricorn appeared in their living room, along with a few of his men. And her mother was gone. Vanished. Mo managed to escape with Meggie, and the book and has been hiding from Capricorn ever since. Now, Meggie and Elinor are beginning to understand why Capricorn won't let them go now that he has the book. He needs Mo to read aloud everything he wants out of the book including gold and treasure. Dustfinger, too, has his own selfish adjenda for getting his hands on the book as he, himself, was read from the pages of INKHEART, and he wants to go back. More than anything in this world. Mo has refused to do what Capricorn wants thus far. And for good reason. But now, thanks to Dustfinger, Capricorn finally has everything he needs to make Mo obey. He has his Daughter, Meggie. Inkheart by Cornelia Funke is a magical adventure that I found very hard to put down. It was everything a great story should be. A believable story line with magic for added fun and adventure. Endearing characters in Mo, Meggie, and Elinor who have me looking forward to reading their further adventures in Inkspell. Characters who are merciless and evil, who have no quandary about deceit, ruthlessness, and murder. It all goes flat out which I found surprising as it's a 500+ page book. It's an exciting and original story with lots of uncertainty and anticipation throughout that never loses momentum and keeps you guessing from beginning to end. I was drawn straight in and I found myself captivated within the pages for hours on end, turning the pages as fast as could to see what might happen next. I got goose bumps on countless occasions! Okay, I'm at hundred pages, and I'm like: someone just kill that loser Capricorn, and then FedEx the rest of the gang home! PLEASE! I'll pay Preferred! Also, this story was kind of scary, which doesn't rate high in my book (pun intended). The idea was excellent, but poorly executed. Attention: I read this book as a library book and I only just realised that the book I have is only part 1! So this review is going to be of the first half of "Inkheart". This was a truly magical story that I know I would've absolutely adored as a child. It's about a love for books, and it's about how we - as readers - step into a fictional world, and how this fictional world can sometimes come true. I loved this story; especially the first 150 pages where the characters and setting are introduc Attention: I read this book as a library book and I only just realised that the book I have is only part 1! So this review is going to be of the first half of "Inkheart". This was a truly magical story that I know I would've absolutely adored as a child. It's about a love for books, and it's about how we - as readers - step into a fictional world, and how this fictional world can sometimes come true. I loved this story; especially the first 150 pages where the characters and setting are introduced. That being said, it did take me some effort to get through the last part (of this first part) of the book. As I said, I think I would've loved this book as a child, but reading it now as an adult made me a bit bored at this big escape that the characters are going on. I think I would've been perfectly happy if Meggie and her father Mo could've just stayed at home with their books and each other, because while the beginning of the big adventure was interesting, it did drag on for a bit too long in my opinion. A wonderful, imaginative story. The characters are so vivid, the tale so engaging, the prose so poetic... A glorious tale for anyone who ever dreamed of being transported into the stories she reads, or of having friends from the tales brought into our world! "I didn't suspect that this story would grow untill it could fill more than one book. I have dreamed for a long time of writing a story in which characters from a book come into our world. Which book A wonderful, imaginative story. The characters are so vivid, the tale so engaging, the prose so poetic... A glorious tale for anyone who ever dreamed of being transported into the stories she reads, or of having friends from the tales brought into our world! "I didn't suspect that this story would grow untill it could fill more than one book. I have dreamed for a long time of writing a story in which characters from a book come into our world. Which book addict doesn’t know the feeling that the characters in a book can seem more real than the people around us? And there is of course a simple reason for that. For which real person would permit us to look into their hearts as deeply as a storyteller permits us to look into his characters’? Into the deepest regions of their souls we may spy, see all their fears, all their love and all their dreams." When I first read this, I was 12. My English teacher recommended it to me. I am 22 now, as I am rereading this. I loved it so much. From the characters, the plot, the old fashioned writing. I'm reading the sequel now, as a part of my O.W.L.s and I love the sequel even more. Hablar de este libro será como mostrar el corazón. No sería la primera vez. Siempre me emociona encontrar una nueva saga favorita (o un libro autoconclusivo favorito), de esas que no me abandonan cuando las termino y puedo seguir recomendando durante toda la vida. Y si bien apenas voy por el inicio de Mundo de Tinta (planeo leer el segundo este mes), sé que ya tiene un lugar especial. Había visto la película del 2008 y me quedó pendiente leer la saga. Recién el año pasado, por esas casualidades Hablar de este libro será como mostrar el corazón. No sería la primera vez. Siempre me emociona encontrar una nueva saga favorita (o un libro autoconclusivo favorito), de esas que no me abandonan cuando las termino y puedo seguir recomendando durante toda la vida. Y si bien apenas voy por el inicio de Mundo de Tinta (planeo leer el segundo este mes), sé que ya tiene un lugar especial. Había visto la película del 2008 y me quedó pendiente leer la saga. Recién el año pasado, por esas casualidades de la vida, encontré el primer libro entre los usados de una librería a buen precio y me lo llevé. Así que el destino me dio un empujoncito para conocer el fascinante mundo creado por la autora alemana Cornelia Funke. Τεσπά, μπορώ να πω ότι απόλαυσα ιδιαιτέρως την όμορφη αφήγηση του βιβλίου και την μαγική του αύρα. Ένα άλλο στοιχείο που ευχαριστήθηκα είναι οι πάμπολλες πληροφορίες για την ιστορία του βιβλίου και της βιβλιοδεσίας. «Και ο Μο άρχισε να γεμίζει τη σιωπή με λέξεις. Τις γήτευε έξω από τις σελίδες λες και περίμεναν τη φωνή του για να βγουν, λέξεις μικρές και μεγάλες, λέξεις έντονες και απαλές, ερωτόλογα, σαν γουργουρίσματα. Χόρευαν γύρω γύρω στο δωμάτιο, ζωγραφίζοντας πολύχρωμες γυάλινες εικόνες, γαργαλώντας το δέρμα. (…) Λέξεις που της εξηγούσαν τον κόσμο, τη σκοτεινή αλλά και την όμορφη πλευρά του, λέξεις που έχτιζαν έναν τοίχο για να διώξουν τους εφιάλτες. Ούτε ένα κακό όνειρο δεν πήδησε πάνω από τον τοίχο εκείνο το βράδυ.» σελ 273. My reading soul was battered and bruised, and a friend offered this book to me to help soothe the hurt. A lovely fantasy tale, with just enough villains and heroic folks to keep it balanced. You root for a happy ending and keep reading. Each chapter starts with a quote from a beloved children's classic, so you get to visit old friends on the journey through the story. A few passages helped assure me how much the author really does love books and all they represent. Meggie, tired and distressed at My reading soul was battered and bruised, and a friend offered this book to me to help soothe the hurt. A lovely fantasy tale, with just enough villains and heroic folks to keep it balanced. You root for a happy ending and keep reading. Each chapter starts with a quote from a beloved children's classic, so you get to visit old friends on the journey through the story. A few passages helped assure me how much the author really does love books and all they represent. Meggie, tired and distressed at one point, wearily "took out a book and tried to make herself a nice nest in its familiar words." Any book lover should be able to identify with that! Or later, Elinor, when trying to get comfortable in the ruins of a deserted cottage, ponders, "Why are adventures so much more fun when you read about them?" Only in books could you find pity, comfort, happiness--and love. Books loved anyone who opened them, they gave you security and friendship and didn't ask anything in return; they never went away, never, not even when you treated them badly. Love, truth, beauty, wisdom and consolation against death. Who said that? Someone else who loved books:..."
Eloise Wilson I like the ending to the story. And I mean the last sentence specifically. Cornelia Funke is a pretty good writer. I can't say that I've ever read a book like this one before, and the idea of a power that allows people to bring fictional characters to life is something that I think most authors wish they possessed. I really liked this book, at first I wasn't expecting much from it but it turned out to be phenomenal. Is there anything more magical than a book literally coming to life? For Meggie, books have always been the hub around which her life spins. Her dad, Mo, is a book doctor, rebinding books that have seen better days. Books are what the two bond over, are what they decorate their home with, and are how they relate to the world around them. But Mo has never ever read aloud to his daughter, that she can remember, an Full review now posted! For Meggie, books have always been the hub around which her life spins. Her dad, Mo, is a book doctor, rebinding books that have seen better days. Books are what the two bond over, are what they decorate their home with, and are how they relate to the world around them. But Mo has never ever read aloud to his daughter, that she can remember, and in the pages of Inkheart Meggie discovers his reasons. This was a wonderful adventure, and is one that I’ve taken before and look forward to taking again. As I’ve said time and again, I love books about books. And Inkheart is an ode to the written word if ever there was one. However, Inkheart isn’t just a long song to stories, but to the physical books that house them. I’m a big believer in e-readers, especially for their portability, but nothing will ever take the place of a physical book for me. The sound of the pages, the smell of the ink, the texture of raised letters on a cover, the beauty of spines lined up on a shelf, can never be replaced by an electronic document. There’s just something about taking a book down off a shelf and knowing that you’re holding an entire world in your hands that an incredibly heady feeling. The above quote is so true. If I pick up my Edgar Allen Poe collection, I remember being ten years old and reading “The Tell-Tale Heart” for the first time while hiding under the covers with a flashlight. When I open Ender’s Game, I remember sitting in alone in a Gifted classroom during my 5th grade year, reading through tears because Ender made me feel less alone. I remember reading Harry Potter and the Goblet of Fire in one day, when I had to stay home from school sick with the flu. Flowers for Algernon will always bring back to mind a road trip to Tennessee right after I graduated from college. Books matter. They really do preserve memories better than anything else, be those memories flower petals pressed between pages or personal memories that reside right inside the cover. The fictional Inkheart novel inside of this book was also wonderful. I adore books about books that don’t actually exist, especially this one, The Princess Bride, and The Shadow of the Wind. I always wish I could somehow reach into the book I’m reading and pull out the fictional book within it, but alas. Inkheart is populated with fairies, trolls, little glass people, murderers, fire-breathers, and magic. It was a wonderful addition to the story of a man who could read things right out of the pages he held in his hands. I was afraid that I wouldn’t enjoy this book as much on a reread, but thankfully I was mistaken. There was still just as much magic housed in its pages. And it’s a magic that I heartily recommend sharing with any children in your life, especially those who already love books. I can’t wait for my niece to be old enough to experience the magic that can be found within the written world. اوّل میخواستم چار بدم. ولی چار واقعاً در حالتیـه ک ایرادات خیلی ریز باشن. ریتم داستان کند بود. گاهی خیلی کند میشد و بعضاً کش میاومد. نثر نویسنده خیلی خوشترکیب بود. تمیز و شفّاف. :دی سوژهش بچّهگونه بود تا حدّی. همونجور ک از قبل هم میدونستم. ولی دلیل خوندنم اینه ک برام جالبه چ طور چنین سوژهای این همه بسط یافته ک سه جلد بالای ششصد صفحه شده. و خب، فرم داستانی ِ کار هم حرفهای بود؛ ینی همین مسئله خیلی کارو تأمّل برانگیز میکنه. اوّل می‌خواستم چار بدم. ولی چار واقعاً در حالتی‌ـه ک ایرادات خیلی ریز باشن. ریتم داستان کند بود. گاهی خیلی کند می‌شد و بعضاً کش می‌اومد. نثر نویسنده خیلی خوش‌ترکیب بود. تمیز و شفّاف. :دی سوژه‌ش بچّه‌گونه بود تا حدّی. همون‌جور ک از قبل هم می‌دونستم. ولی دلیل خوندنم اینه ک برام جالبه چ طور چنین سوژه‌ای این همه بسط یافته ک سه جلد بالای ششصد صفحه شده. و خب، فرم داستانی ِ کار هم حرفه‌ای بود؛ ینی همین مسئله خیلی کارو تأمّل برانگیز می‌کنه. One of my favourite fantasy / middle grade books as it is totally gripping from start to finish and very fun to read. I loved the creative story and the characters. This review has been hidden because it contains spoilers. To view it, click here. ...I REALLY wanted to like this book. The plot sounded so good, and it seemed perfect anyone who loves to read and who loves books themselves. A book restorer who can pull characters from the pages by reading aloud? I thought it was a sure thing. Needless to say, I was severely disappointed. 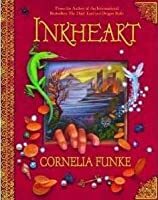 I've liked Cornelia Funke's books in the past, particularly The Thief Lord, but as I read Inkheart, I noticed over and over again how hollow the story felt, and how much opportunity the author had to make a ...I REALLY wanted to like this book. The plot sounded so good, and it seemed perfect anyone who loves to read and who loves books themselves. A book restorer who can pull characters from the pages by reading aloud? I thought it was a sure thing. Needless to say, I was severely disappointed. I've liked Cornelia Funke's books in the past, particularly The Thief Lord, but as I read Inkheart, I noticed over and over again how hollow the story felt, and how much opportunity the author had to make a really amazing book with her great beginning idea. The characters had no depth (despite their emotional reactions to books), and seemed to all be cliches: there's a crazy book-loving aunt, mafiosi, dumb henchmen, etc. I never really bought the sadness and despair that the characters felt from being ripped from their homes within the book, something that Funke really could have developed. Likewise, I never bought that the three book-lovers truly loved books. They didn't reference very many, and even seemed to convey an arrogance about their love of books that I found off-putting. The author also chose to head each chapter with a quote from a book that supposedly prefaced what was to come, but I found her selections poor, and most of the quotes (59 chapters, after all) came from only a handful of books. It felt like, similar to her characters, she only has read a few books. However, maybe I felt this way because the books that the heroine, Meggie, loves are all books I kind of really dislike. Speaking of Meggie, what about her was I supposed to like? She came off as very bratty and negative instead of brave and precocious, which I'm sure the author meant to portray. The mastermind of evil, Capricorn, only wanted to live in a dilapidated Italian village and hoard treasure read out of books while bullying the neighboring towns into silence about his existence. Why exactly was he so scary? What was his evil evil goal? Did he even use the gold to get stuff? Also, it didn't feel like the ability to read things out was consistent. At first, characters can read objects and people out of the book, but they have their own will and don't follow what happened to them within the book. However, the climax involves reading a monster from the book, and then directing its actions with the story written about it. Did I miss something? Was I just skimming at that point? This isn't how the earlier characters operated. And perhaps most disappointing is that nothing really happened with the plot. We find out early on what Mo (a TERRIBLE TERRIBLE choice to name the hero) is hiding from Meggie (the ability to read things out of books), they meet up with Capricorn quickly, they run away, they are recaptured, they plan their escape, the big climax fizzles out. Yet there are 500+ pages to fill. This book made me appreciate Harry Potter a billion times more (and I'm pretty apathetic about HP) because of the level of detail and side story that Rowling is able to incorporate. I believe strongly that good books should feel organic, like they came into being without the aid of a writer. This is a rather large theme within the book, and it was funny to me that Inkheart seemed to be the opposite of it. Avevo aspettative altissime per questo libro, tutti lo acclamano, tutti lo amano, tutti lo portano nel cuore. Beh… ecco che mi tocca, di nuovo, il ruolo di pecora nera che va controcorrente! Anche se non mi è affatto dispiaciuto, tutto sommato. Questo libro è molto bello. L’idea di un libro in un libro è geniale! È un racconto pieno di magia e avventura, un racconto che ogni ragazzino che si approccia alla lettura e al Fantasy dovrebbe leggere. Ammetto che la Funke ha tratteggiato i suoi personaggi alla perfezione, ho adorato Mo e l’acida Elinor e ovviamente ho fatto il tifo, fino alla fine, per Dita di Polvere. Il fatto di avere in un libro del genere un personaggio che oscilla sempre tra azioni giuste e azioni sbagliate, in un mix di rimpianto, rabbia, senso di colpa e affetto, ha dato l’impronta giusta alla storia! Per contro, non ho apprezzato fino alla fine Maggie, che oscilla sempre tra capricci di bambina (qual è) e un coraggio da leone, Capricorno mi è sembrato una barzelletta messa lì, tanto per avere il cattivone di turno, infatti, durante la lettura risaltano di più i suoi scagnozzi che Capricorno stesso e, sinceramente, anche Farid mi è risultato alquanto sciapo (ma molto probabilmente, adesso, è il mio lato pignolo a parlare). Quindi, tutto sommato, la storia, tra alti e bassi, non è male. Secondo me il grandissimo difetto di questo libro è la narrazione, il modo di scrivere dell’autrice, che è molto descrittivo (ma questo per me non è affatto un difetto, anzi! ), risulta però troppo lento. Tanto che ho dovuto fare diverse piccole pause prima di rimettermi a leggere, cosa che nel momento dedicato alla lettura io non faccio mai! A pagina 100 ancora la situazione non si era evoluta minimamente, i personaggi stavano lì tutti quasi immobili, mentre i capitoli scorrevano. Poi finalmente qualcosa cambia,la storia ingrana, ma la lentezza, e quindi, la pesantezza, è rimasta fino alla fine. Leggere questo libro, almeno per me, è stata un’opera di concentrazione assurda! Mi stancavo con una facilità infinita. Pur amando molto le descrizioni e uno stile narrativo corposo, mi sono resa conto che questo libro avrebbe reso di più, se i capitoli fossero stati resi più leggeri! Insomma sono arrivata alla fine solo perché non ho l’età di Maggie da un bel po’. Fossi stata una 12enne, ma anche una 14enne, conoscendomi avrei mollato il libro al 3°capitolo!